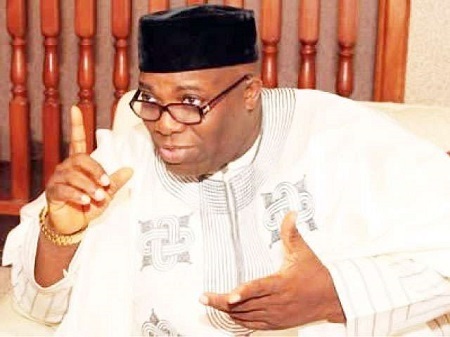 Doyin Okupe, a former aide to ex-President Goodluck Jonathan has made what he called 15 revelations about the Second Niger Bridge. The Bridge is NOT Being Constructed by the FGN. It’s a PPP Project which the FGN contributes a tiny fraction. The 2nd Niger Bridge Will Cost about N117 billion. Started in 2013 and should have been completed in 2017, but worked stopped for 31 months. Completion date Not certain now. FGN share of the Cost is N30billion. Jonathan through the Sure-P paid N21.2billion (71%) including N7billion for the completion of preparatory work (Phase 1). 38% of the work has been done as at Jan 2015. The N140b Oshiomhole said was wasted on Admin cost on the bridge was a lie, as admin cost will not be higher the to cost of the whole project. Buhari’s Govt Paid N2billion NOT $2billion as Osinbajo said during the Anambra state election. They will be paying another N3.05 when 2018 budget is approved. Work has restarted in earnest at the site and about 5%-7% has been completed bring the total completed work to about 43% to 45% according to an engineer I spoke to. All the pictures flying all over the internet are pictures of work-in-progress made during the 1st quarter of 2015. In summary Jonathan Govt have paid 71% of FGN share of the cost, While Buhari’s govt has paid 6.1%. Julius Berger, the Major Contractor and Construction company will put Toll Gate on Completion of the Bridge to cover their cost. The Construction Company is Funding the Project and the People using the Bridge will bear the cost via Toll Charges. The real People building the Bride are Nigerians that will use the Bridge, as they will REPAY the cost to Julius Berger. For those celebrating Politicians and sharing old or fake pictures of 2nd Niger Bridge, the #Facts are Not on your side.